The Little Italy neighborhood in Baltimore it’s smaller than similar Italian neighborhoods in New York and other bigger cities. It still has bunches of charm and character, though. It’s one of the city’s busiest restaurant districts, and with good reason… there’s a small bunch of excellent independent restaurants that offer delicious Italian cuisine. Even though it’s a very tightly-knit community, I’ve always found the people there warm and friendly. In the summer they show movies outdoors, projecting them on the outside wall of one of the restaurants. There’s also a public bocce court. And , Saint Leo’s church holds two festivals, the Feast of Saint Anthony, in June, and the Feast of Saint Gabriel, in August. During these festivals, a few of the streets are closed off, food, wine, beer and foods are sold, bands play and processions of the respective Saints march through the neighborhood. 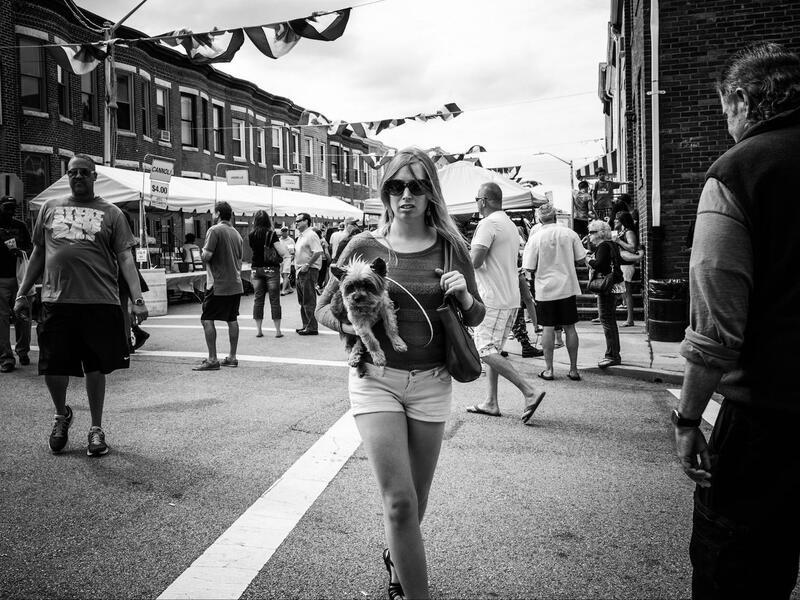 This shot was taken in June during the Feast of Saint Anthony, and I chose this image to honor the November theme of our monthly photo contest, Pets and Their People. 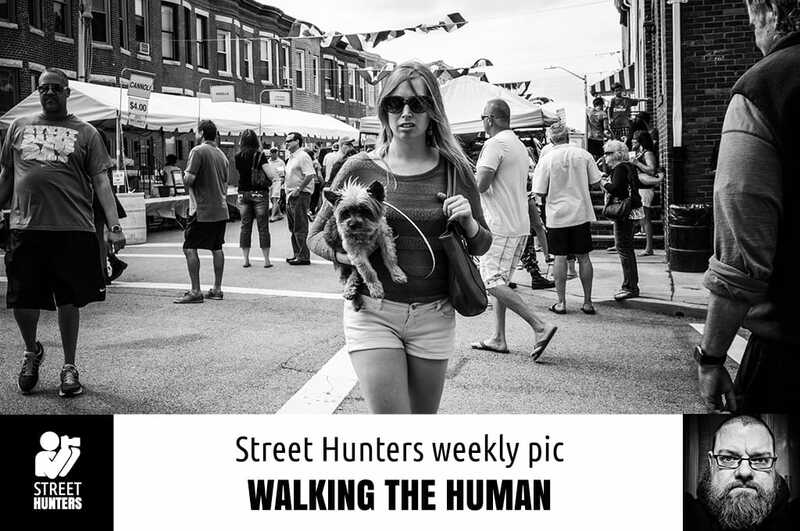 As a dog and a cat owner, I try to get street photographs with canines and felines in them when I can. And I’m a sucker for shooting people carrying little dogs in crowded situations. The dogs are usually wide-eyed and trying to take in as much action as possible. In this scene, I was trying to get a good shot of the dog when I noticed it’s owner giving me a sneering look. I backed up as she approached to get more of her in the frame. As the sneer started to slightly recede, snapped and got out of her way. As she walked past, I thanked her, but she didn’t acknowledge me. I think the puppy smiled, though. Now get your pics in for Pets And Their People! Inside Andreas Ott's Camera bag!